Direct Express Auto Transport is one of the top vehicle shipping brokers in the country with over 200,000 successful deliveries. 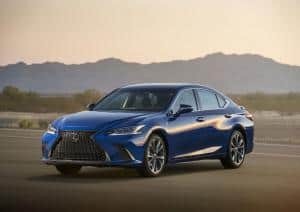 We surveyed our auto shipping statistics and determined which Lexus vehicles were most likely to be quoted and shipped. All of these Direct Express statistics omit new car shipments from the factory to the dealerships. This reveals only the current shipping market for used Lexus models. Car transport your Lexus today! The RX 350 SUV is responsible for 18% of all used Lexus car shipments. The ES 350 Sedan is responsible for 11% of all used Lexus car shipments. 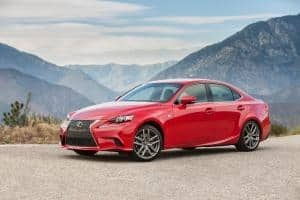 The IS 250 Sedan is responsible for 7% of all used Lexus car shipments. The ES 300 Sedan is responsible for 5% of all used Lexus car shipments. The RX 330 SUV is responsible for 4% of all used Lexus car shipments. The GS 350 Sedan is responsible for 4% of all used Lexus car shipments. The GS 460 SUV is responsible for 3% of all used Lexus car shipments. The ES 330 Sedan is responsible for 3% of all used Lexus car shipments. The SC 430 is responsible for 3% of all used Lexus car shipments. The LS 460 Sedan is responsible for 3% of all used Lexus car shipments. The RX 300 SUV is responsible for 3% of all used Lexus car shipments. The IS 350 Sedan is responsible for 3% of all used Lexus car shipments. The NX 200T SUV is responsible for 3% of all used Lexus car shipments. 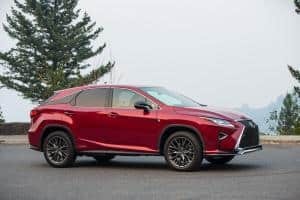 The RX 450h SUV is responsible for 3% of all used Lexus car shipments. The CT 200h Hatchback is responsible for 2% of all used Lexus car shipments. The GX 470 SUV is responsible for 2% of all used Lexus car shipments. The GS 300 Sedan is responsible for 2% of all used Lexus car shipments. The LS 430 Sedan is responsible for 2% of all used Lexus car shipments. The LX 570 SUV is responsible for 2% of all used Lexus car shipments. The IS 200t Sedan is responsible for 2% of all used Lexus car shipments. Call Direct Express Auto Transport today at 800-600-3750 to ship your Lexus!